Pavlovâ€™s Dogs, Psychoanalysis, Milgramâ€™s Obedience Study, and Beckâ€™s Cognitive Therapy? Sure, you know what they all mean (that is, youâ€™ve certainly heard of them), but do you understand enough about these psychology theories to join a dinner party debate or dazzle the bar with your knowledge? 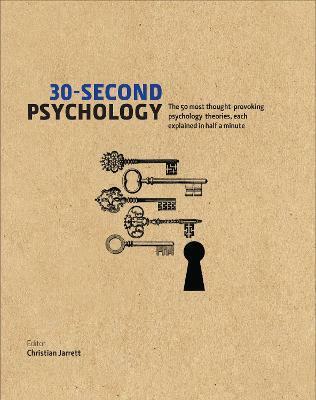 30-Second Psychology takes the top 50 strands of thinking in this fascinating field, and explains them to the general reader in half a minute, using nothing more than two pages, 300 words, and one picture. While unraveling the inner workings of the human mind it also introduces many of the luminaries in the field along the way, including William James, Aaron Beck, and (of course) Sigmund Freud. From Behaviorism to Cognitivism, what better way to get a handle on your inner demons?